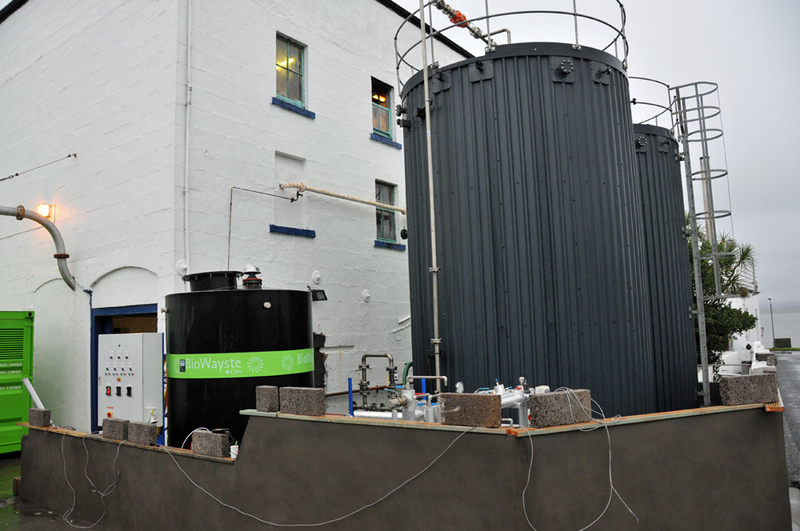 An ambitious project on Islay from a few years back, the BioWayste system being installed at Bruichladdich distillery. It is used to turn waste products from the distilling process into bio fuels which in turn are used to generate electricity. This entry was posted in Cloudy Weather, Distilleries, Repost, Village and tagged Bruichladdich, Islay by Armin Grewe. Bookmark the permalink.